1S-CHG-12P: 1S LiPO Charge adapter for up to 12 batteries. 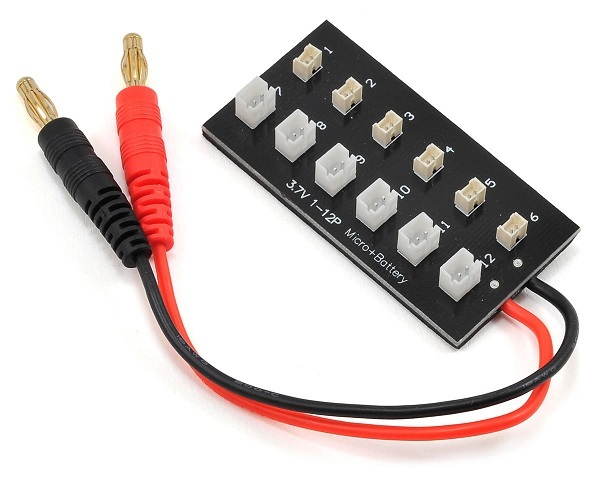 Can parallel-charge up to 6 with micro-JST, and up to 6 with mini-JST connectors. Has banana plugs for attaching directly to smart charger. All batteries being charged simultaneously should be of equivalent capacity, due to parallel charge effect.